The World private residential ship has broken the record for the most southerly navigation reaching 78°43•997´S and 163°41•421´W at the Bay of Whales in Antarctica’s Ross Sea. The World recorded the polar record at 10:41hrs Ship’s time (New Zealand time) on January 28, 2017. The vessel is a 43,188-ton private yacht commanded by Captain Dag H. Saevik. 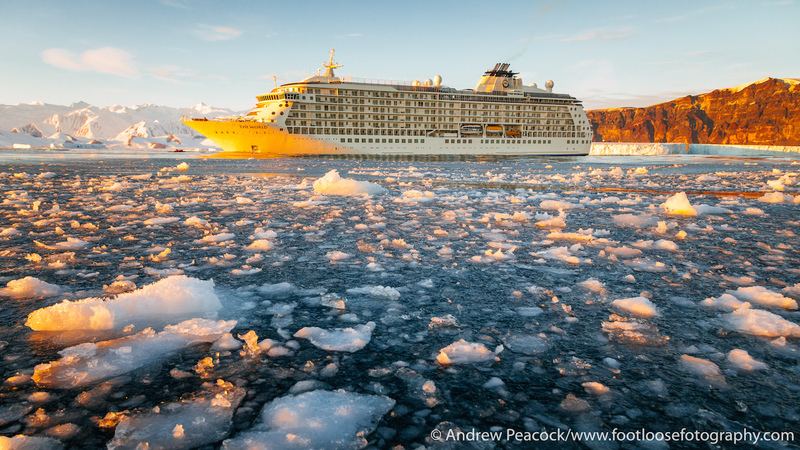 Carrying 145 residents & guests and 272 crew, this is now the furthest south any vessel has ever sailed. The yacht is currently on a 22-day expedition of the Ross Sea, including 12 days in Antarctica assisted by EYOS Expeditions led by Rob McCallum. Commenting on achieving a new record, Captain Dag H. Saevik said: “When we designed this remarkable expedition to the Ross Sea with our residents, that has taken two years of preparation, we hoped that with the right conditions we might be able to reach the ice shelf and set a new record for the most southerly navigation. This voyage of more than 5,000 nautical miles has taken us to the most isolated area of the world. “Explorers like Amundsen, Shackleton and Scott have always been driven to explore the furthest boundaries. However, not many people get to travel to the end of the earth from their own home,” said Saevik. For more information visit: aboardtheworld.com.